When I started composing and recording CDs eight years ago my genre of choice was Smooth Jazz ... because I liked it. After perusing through Groove Jazz then Rockin’ Jazz, I realized that the genre I was actually working in was Americana ... indeed, a mix of early American roots music (Jazz, Rock, R&B, Blues and Pop) as described by the music critics. 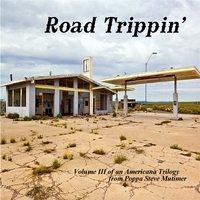 As such, my last three CDs culminate in a Trilogy of Instrumental Americana Funk Music . Each CD is a tribute to one of the three bands I played with and this Trilogy is a true tribute to the music that helped make American music what it is today ... Americana.